COPYRIGHT NOTICES (c) 1999 - 2002 Robert Vogrin (p) 2002 Robert Vogrin/M&M Music Concepts Australia. All rights in all media reserved. Unauthorised copying, hiring, public performance and broadcasting of these recordings, lyrics and artwork strictly prohibited. This is a great country single. Utilizing the beautiful vocal talents of DEB BODY in her debute single written by Robert Vogrin. 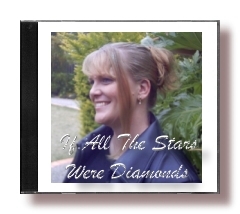 These songs present DEB at her best and fully encompass her vocal abilities as a SINGER, ARTIST and ENTERTAINER.